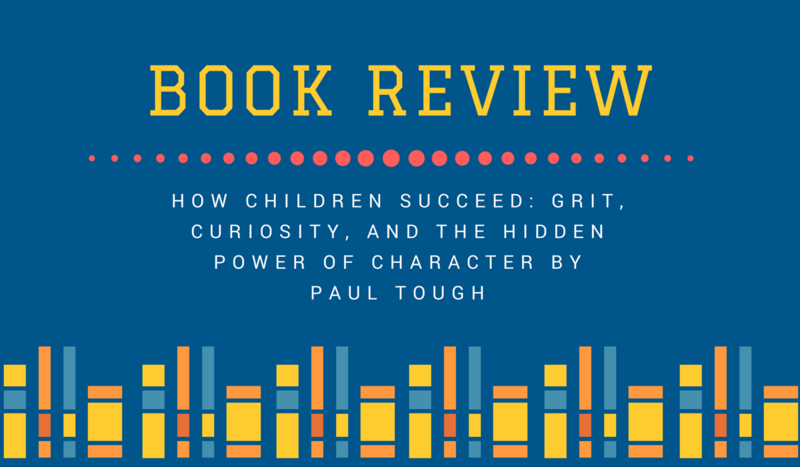 It’s a question worth asking, and his book How Children Succeed: Grit, Curiosity, and the hidden power of Character author Paul Tough sets out to answer it. How Children Succeed is a well thought out examination of two models in child rearing. The traditional model designed to maximize IQ and cognitive skills versus the new school of thought that teaching children skill to increase their tenacity and improve their character are just as valuable. The narrative examines two schools with very different economic backgrounds and the difference in their teaching methods. In this short review I can’t touch fully on the questions and answers Paul Tough asks and answers, it wouldn’t be able to do justice to the amount of detail in the analysis. But it’s clear Paul Tough knows his work. He spent over three years researching for the book, and it shows. The science behind every stat is fully explained in an easy to understand the way that leads the reader to ask a question all on their own. There is almost an over abundance of information in the book, and I found myself putting it down to just thinking about things for a second. To give an example, early on in How Children Succeed Paul Tough tells us about an experiment involving mice and their child rearing habits. To put it shortly, mice that groomed their young regularly altered the brain chemistry of their offspring for life even when removed from their parents. The implications for this in human child rearing is huge, a definite link between touch early in child development and stress reduction in adulthood begs to be more thoroughly examined. Which brings me to my only major issue with How Children Succeed, it leaves me asking more questions than one book can answer in a reasonable space. Which is about as glowing a review you can give for a book like this. How Children Succeed is full of moments that make you stop and examine what you thought about intelligence and its importance towards success. Paul Tough gives a compelling argument that the education system should focus more on teaching its students how to navigate life and apply themselves. Example after example in How Children Succeed highlight that having the grit and tenacity to stick with your goals is every bit as important as possessing a keen intellect. In fact, it may be even more significant as a predictor of success. The final verdict is that How Children Succeed is a must read for anyone interested in behavior development, success tactics, or even just a cursory interest in social patterns. Executive Skills in Children and Adolescents: A Practical Guide to Assessment and Intervention by Peg Dawson and Richard Guare.